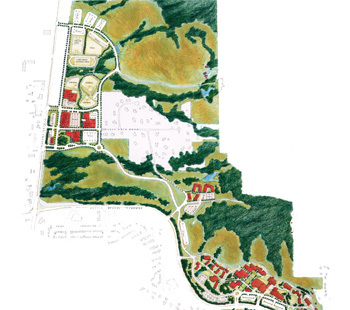 The master plan addresses near-term needs for the developed 80-acre campus. 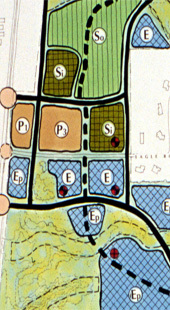 The plan presents building and open space development and guidelines. The long-term development plan presents a build-out of the campus on its entire 508 acres. One purpose of the plan was to assess the site’s capacity to support additional enrollment foreseen by the State of Colorado. The plans identifies strategies to transition from a commuter to a resident student campus. Coupled with the projected growth in student FTE, student residents will require a dramatic increase in auxiliary uses including dining and recreation. The campus’s soils and topography presented a increasing range of construction costs the analysis of which were incorporated into the implementation strategy in order to minimize near-term costs.